This week marks the 230th Meeting of the American Astronomical Society, currently taking place in Austin, Texas. It’s been a busy first few days. I’ve had to pick and choose between simultaneous sessions once or twice, but I haven’t been disappointed in the least by any of the fantastic talks I’ve attended so far. My Monday morning began with an exciting press conference covering recent discoveries in the field of black holes (a subject near and dear to my heart, I admit). It was there that Richard O’Shaughnessy from the Rochester Institute of Technology announced the discovery that LIGO had detected a spinning black hole on December 26, 2015. 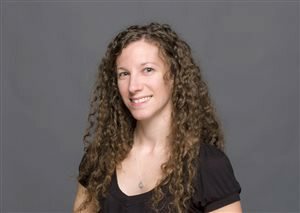 Stephanie Juneau of the National Optical Astronomy Observatory also announced the discovery of an obscuring “ring” of material about 2,000 light-years across in the center of the galaxy NGC 7582, which seems to be protecting its host galaxy from the potentially disruptive radiative outflows of its central supermassive black hole. Then Chris Shrader of NASA’s Goddard Space Flight Center and Ethan Vishniac of Johns Hopkins University each spoke about research that’s working to shed light on the interplay between black hole accretion disks and magnetic fields, which are the mechanism currently envisioned to launch the jets we see spewing out of stellar-mass and supermassive black holes alike. Next, I attended a fascinating talk by this year’s Annie Jump Cannon award-winner, Rebekah Dawson of Penn State, who was introduced as “the go-to person for modeling multiple planet systems.” Her talk, “Origins of Inner Solar Systems,” focused on what she calls the “unexpected guests showing up at the planet party:” eccentric hot Jupiters, super-Earths, and mini-Neptunes, none of which have any analogue in our own solar system. Dawson explained how astronomers are working to “fill in the puzzle pieces” of solar system formation, slowly developing new theories to explain the varied planetary systems we’re finding, from planet-planet interactions that pump up the angles of a planet’s orbit to different formation scenarios entirely dependent upon the initial conditions in a star’s protoplanetary disk. Astronomers are currently doing some amazing work to “peer through the blinds” and learn more about exoplanetary systems, often by developing proxies to measure quantities and characteristics we otherwise couldn’t see. Her conclusion? Inner solar systems are the perfect testbeds for new theories as they develop, as the planets found there are greatly influenced by conditions that vary and will need to be explained by any theory looking to provide a comprehensive picture of planet formation. After a brief lunch break, my Monday afternoon resumed with a second press conference, this one on hot planets and cool dwarfs. First came a big announcement that you’ve likely just seen: B. Scott Gaudi of The Ohio State University and Karen Collins of Vanderbilt University announced the discovery of KELT-9b, the hottest gas giant ever found. 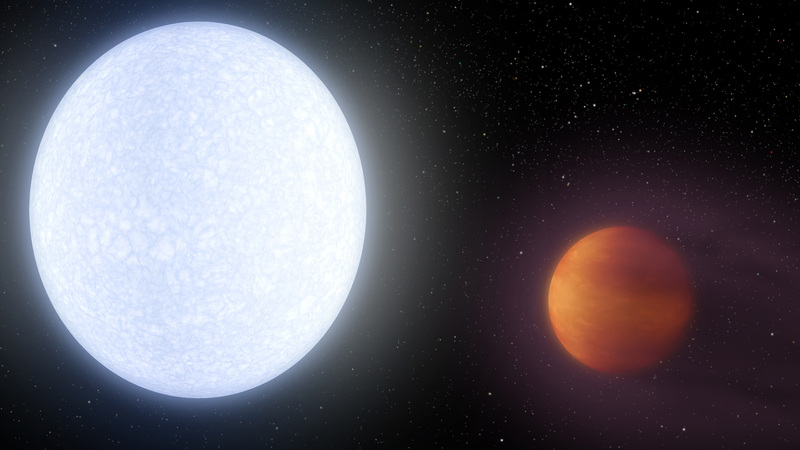 KELT-9b is so hot that it’s literally evaporating before our eyes, and it’s orbiting the biggest, hottest host star we’ve ever seen a planet transit yet. Next up, Giovanni Bruno of the Space Telescope Science Institute described work currently delving into the clouds formed inside exoplanet atmospheres – do similar exoplanets around different stars form the same clouds? (The answer is an intriguing no!) Last but certainly not least, Trent Dupuy of the University of Texas, Austin, spoke about the culmination of decades-long work to better constrain the dividing line between big planets and small stars, which has pushed the current cutoff from the previously accepted 75 Jupiter masses down a smidge to 70 Jupiter masses. While this doesn’t seem like a big change, it actually has far-reaching effects, including boosting the number of cool stars possible in the universe – and more stars, Dupuy stressed, means more planets with more chances for life. I rounded out my Monday by attending a plenary talk given by Caitlin Casey at the University of Texas, Austin. “The Universe’s Most Extreme Star-forming Galaxies” focused on just that – the role that galaxies with extremely high star formation rates play over cosmic time, and the fact that this role is still largely unknown. She spoke about the challenges of detecting and characterizing these objects, called Dusty Star-Forming Galaxies, or DSFGs for short. 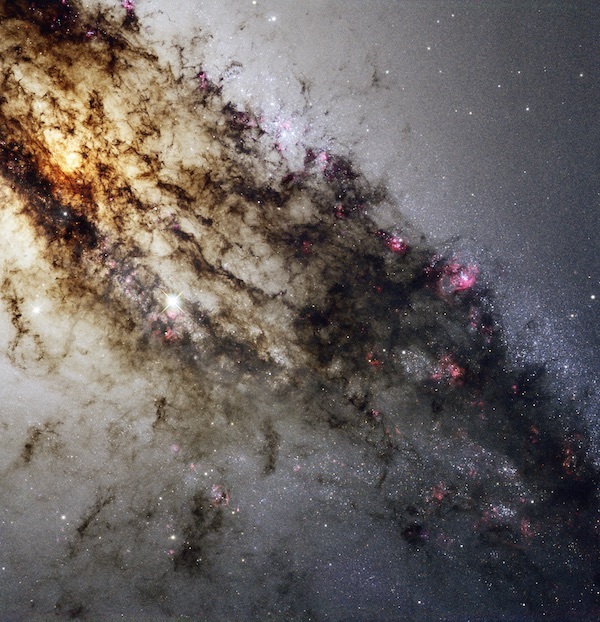 As the name implies, star-forming galaxies are typically extremely dusty because dust is created by the same processes that form and shape stars as they evolve. This dust absorbs and reprocesses starlight, emitting it at different wavelengths, and it’s a huge effect – galaxies that are forming stars at rates thousands of times that of the Milky Way have approximately 99% of their light reprocessed by dust. But because dust blocks light, these galaxies must be studied at submillimeter wavelengths, which poses its own challenges (not the least of which is resolution, meaning submillimeter images just aren’t as sharp as images taken in, say, the optical). And the farther away a star-forming galaxy sits, the more difficult it is to see and characterize, which is why their role and even the mechanism that causes these galaxies to so explosively form stars is still largely undecided. Ultimately, Casey said, understanding dust is integral to understanding galaxy formation and evolution throughout the history of the universe. At the end of her talk, Casey also highlighted her work with UT Austin’s TAURUS program, which is a nine-week program designed to promote STEM opportunities among poorly-represented and marginalized groups, including Black Americans, Native Americans, and Latinx Americans. The program, which launched last year, will soon be enjoying its second year during the university’s summer semester. Of course, I couldn’t see and do it all – if you’re interested in finding out more about the exciting news and events at this year’s AAS meeting, you can visit the AAS NOVA website for additional meeting highlights.